Description: A well-created stocktaking EPC diagram template is provided for free download. If you need ready-made templates to help you document EPC diagram quickly, this template is a great choice. Easily customizable, you can change the shape size, color, and theme of the diagram freely. Download now and experience the awesome features. 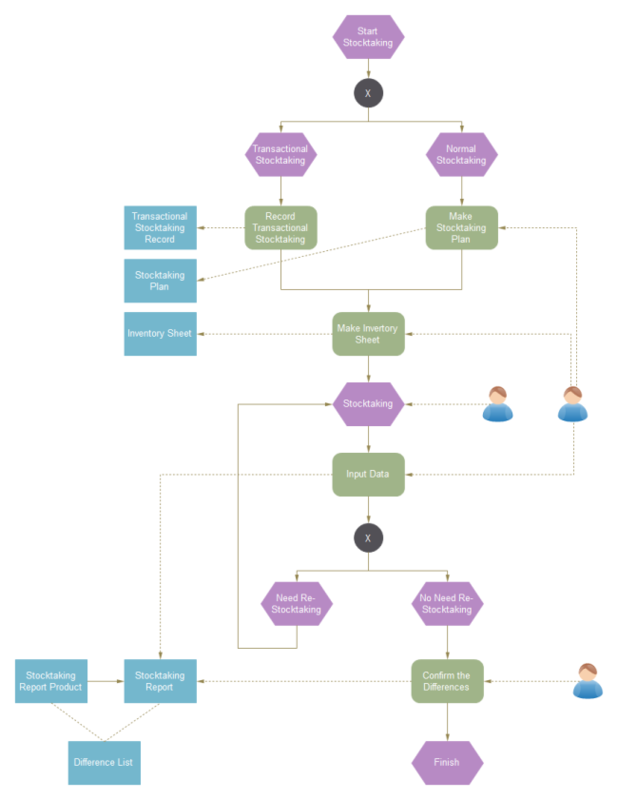 From this EPC flowchart templates sharing community, you can either upload your wonderful design works or download existing EPC diagram templates for reference. As vector files, all templates are available to edit and customize. Explore whatever fits you best and download for your own use.